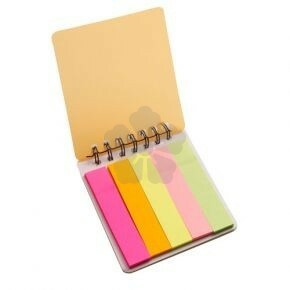 Spiral bound plastic case with five different coloured self adhesive memo papers, 25 sheets per colour. Front cover in clear plastic. 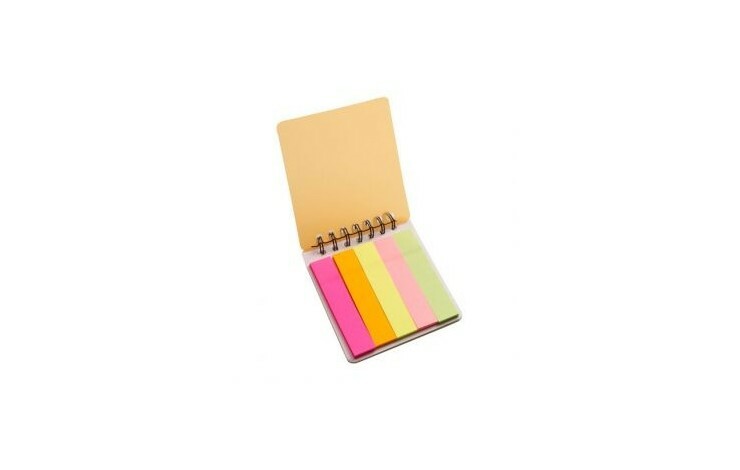 Back cover in choice of orange, pale blue and pale green.